Like many other East Village and Lower East Side venues , The Bowery Electric is closed for the next few days due to Hurricane Sandy aftermath. The Voluptuous Horror of Karen Black show that was initially moved from Tuesday (10/30) to Thursday (11/1) has now been cancelled altogether, and tonight’s (10/31) Halloween show has been postponed to a date TBD before Thanksgiving. What was supposed to be the last ESG show in NYC was scheduled to go down this Thursday (11/1) at the venue with Sinkane, but that show has been postponed TBD in December/January. All tickets for rescheduled shows will be honored. 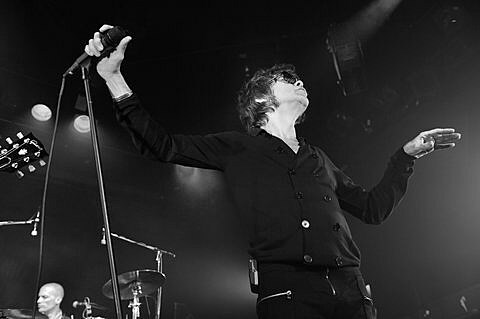 Refunds are available from ticketweb if you purchased your tickets through them, and at The Bowery Electric if you purchased your tickets there. In terms of shows that will happen at the Bowery Electric, New York Dolls frontman David Johansen is playing there this Saturday (11/3), performing “a career spanning set of songs form his incredible 50 year career” with support from Romans and Kay Kasperhausen. Tickets for that show are on sale now. 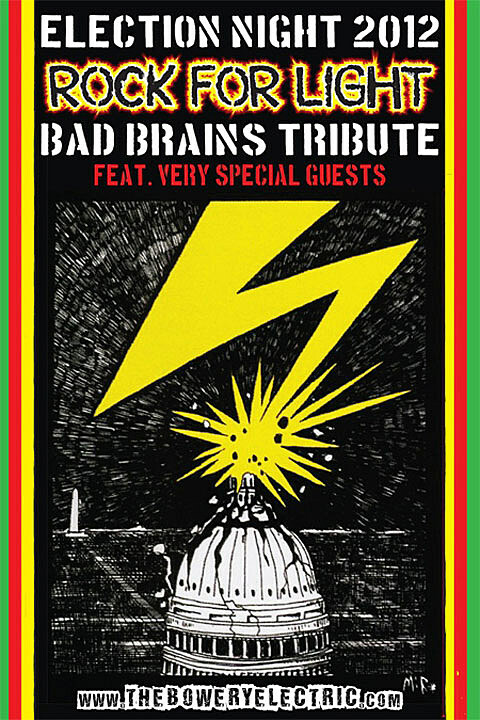 Then, on Tuesday (11/6) (Election night), there will a Bad Brains tribute dubbed “Rock For Light For Human Rights,” with proceeds going to Amnesty International. The house band for the night will be Todd Youth (Danzig), Mackie Jayson (Cro-Mags, Bad Brains), and Melvin GIbbs (Living Colour Rollins Band), and the guests include Bad Brains frontman H.R., Kyp Malone (TV on the Radio), John Joseph (Cro-Mags), Jesse Malin (D Generation), Vernon Reid (Living Colour), Pegasus Warning, Felice Rosser (Faith), Ralphie G. (The Mob), Charlie Looker (Extra Life), Jesse Quattro (Secret Chiefs 3), Jesse Leach (Killswitch Engage), Kelsey Warren Byron (Pillow Theory), and many more surprise guests. Tickets for that show are on sale now. 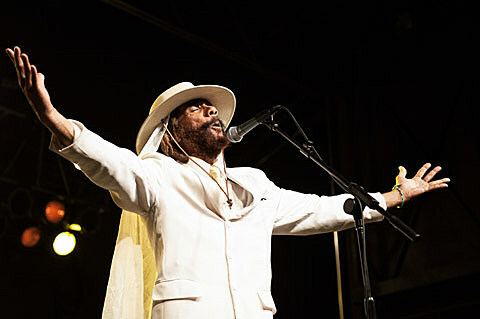 Bad Brains are also releasing a new album soon.